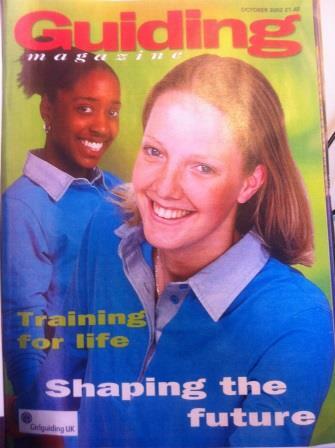 Modelling is not a frequent past time of mine, actually the last time I “modeled” was in 2002 and soon became the cover-girl for “Guiding magazine”!! So, when I received an email from one of our Lexus Reading Dinton Duathlon event sponsors, Wilier Performance Progress Lab, asking whether I would be interested in modelling for them – I must admit, I laughed and thought they must be desperate!! However, I happened to be able to make my diary work to respond to their “WANTED – FEMALE CYCLIST” plea! The venue they had identified for this photo-shoot was RAF Upper Heyford – an incredible location with so much history and parts of it were just as it would have been in the 1920’s – the door closed behind the last person that walked out of the building. One building I ventured into had “AMMO” marked all down the side wall and gave me a real sense of what heroes the people were who worked in those conditions. Despite the foggy conditions on the morning of the photo-shoot and not being able to see the end of the runway, some great photos were taken of me and two other guys cycling and running around this iconic venue which they apparently now use for several film-sets including “Fast and Furious.” The Wilier bikes we were “modelling” were their latest release, Zero9. What a treat it was to ride a bike like this…slightly different to my Giant that I cycled from Lands End to John O’Groats a few months back. It was a great day and I “look forward” to my payment in terms of a Fitness Test….after all this is what Wilier Perfrormance Progress Lab specialise in and will be showcasing at the Lexus Reading Dinton Duathlon where they will also have a 1 minute Watt-off competition for you to have the chance to win a Complimentary Full Testing Session – after all, you don’t know your limits until you test them….